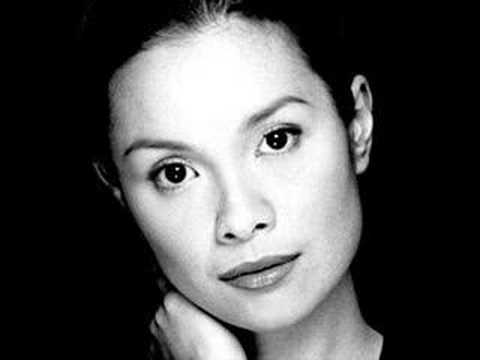 Undoubtedly one of the most successful Filipino singers of all time, Lea Salonga (Maria Ligaya Carmen Imutan Salonga-Chien) has achieved worldwide success that other singers can only dream of. Lea is well-known for her portrayal of Kim in Miss Saigon, as well as Eponine. She is also the first Asian to play the said role in Broadway. She is also the first to win an Olivier, Tony, Drama Desk, Outer Critics, and Theatre World Awards for a single role. On January 10, 2004, she married Robert Chien, and has a daughter named Beverly Nicole who was born on May 16, 2006. Below are two videos, one of Lea Salonga singing Sun and Moon in Miss Saigon, and another one where she sings Don’t Cry for me Argentina live. Marifil Nina Girado was born on November 1, 1980 and is more popularly known as Nina. Often dubbed as the Philippine’s Soul Siren, she has released 4 albums to date and is known for her vocal belting. Most people often remark that she looks like Mariah Carey and her vocal ability to sing in whistle register (C3-G7) often adds to the description. Jaya – Is it Over? Known as the Philippine’s Queen of Soul, Jaya is a Philippine singer with African-American ancestry. Born Maria Luisa Ramsey, she started as a backup dancer for her mother Elizabeth Ramsey, a comedienne-singer. Jaya is now one of the hosts of SOP, a noontime show she co-hosts with Regine Velasquez, Kyla, and Ogie Alcasid. You are currently browsing the Philippine Music weblog archives for March, 2008.